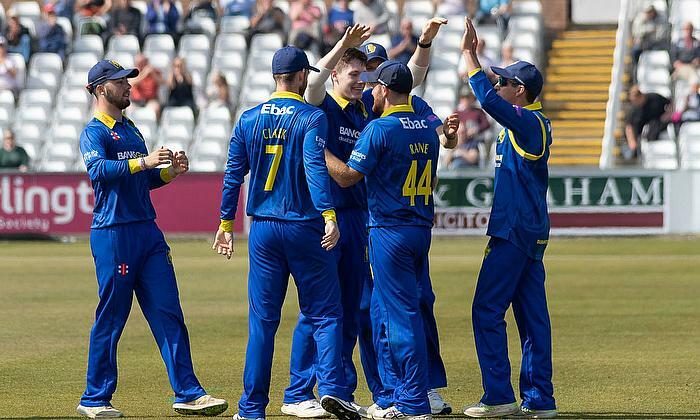 Round up of the opening day in the Royal London One-day cup. Sports surface specialist total-play Ltd has continued the ongoing expansion of its team with the appointment of Lee Bennet in the role of Sales Development Manager. VKB Knights coach Alan Kruger admits that it is make or break for his side over the Easter weekend in the CSA T20 Challenge as they face two all or nothing clashes that will determine their fate in the competition. Hollywoodbets Dolphins coach Grant Morgan concedes that every match in the second round of the CSA T20 Challenge has now taken on extra significance following their poor opening half of the campaign. Assistant coach Mfuneko Ngam says the Warriors squad is currently extremely frustrated after their weather woes in the CSA T20 Challenge and hopes they can release some of their frustration by winning their two games this weekend. Qiana Joseph with two scores of 60+ and 49, captained the Windward Islands to its fourth consecutive victory in the Cricket West Indies (CWI) and Trinidad and Tobago Women’s Cricket Association’s Girls 19 and Under T20 Championships. It continues to be a close competition between the top teams in the Cricket West Indies (CWI) Under15 Super50 Cup, which comes to an end this weekend in Antigua. The International Cricket Council (ICC) was today saddened to learn of the death of Patrick Rousseau after the former West Indies cricket chief died at the age of 85. Cricket West Indies announced today that Jamaica senator Don Wehby has been appointed chairman of a Task Force on Corporate Governance Reform.